We had wonderful services over the Christmas period. The Festival of Nine Lessons and Carols, and highlights of the Christmas Eve Midnight Mass, can be seen on our website’s Audio-Visual Page. 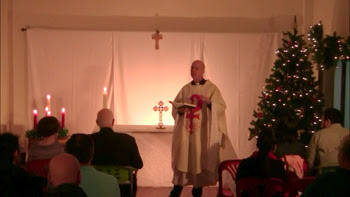 We also had a great service on Christmas morning and again last Sunday. 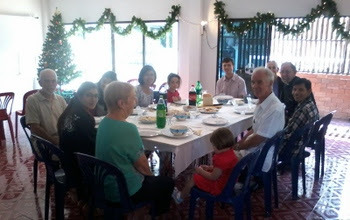 Thirteen of us stayed to share lunch together on Christmas day! It has been great to celebrate together this Christmas season, and we have one more service. This Sunday, 4th January, we will mark the Feast of Epiphany, and then it will be time to take down our Christmas decorations for another year. This week’s readings are from Isaiah 60:1-6, Ephesians 3:1-12, and Matthew 2:1-12, and we will be singing We Three Kings of Orient Are, The First Nowell, As With Gladness Men of Old, and Hark! The Herald Angels Sing! You can find the readings via this link. Our sermon will look at the visit of the Wise Men to Jesus!